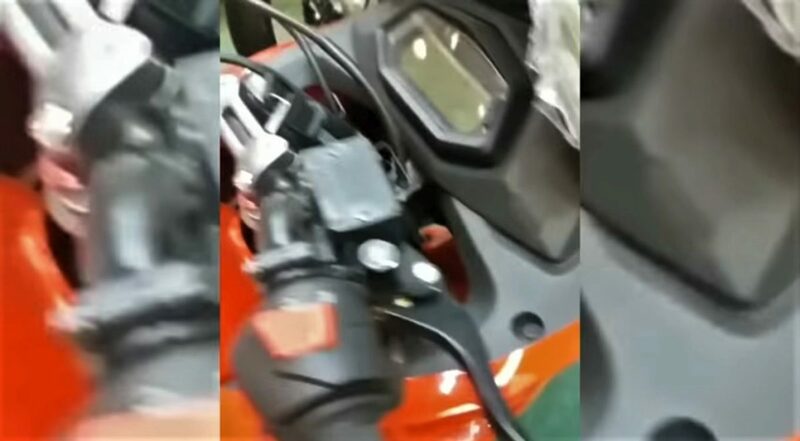 Home Hero MotoCorp Is This The 2019 Hero Karizma? Is This The 2019 Hero Karizma? For the first time, it appears that a new-gen, fully-faired Hero Motorcycle will make its way to dealerships soon. And no, this isn’t an example they’ve displayed at an auto show, but the bike appears to be in the production phase. 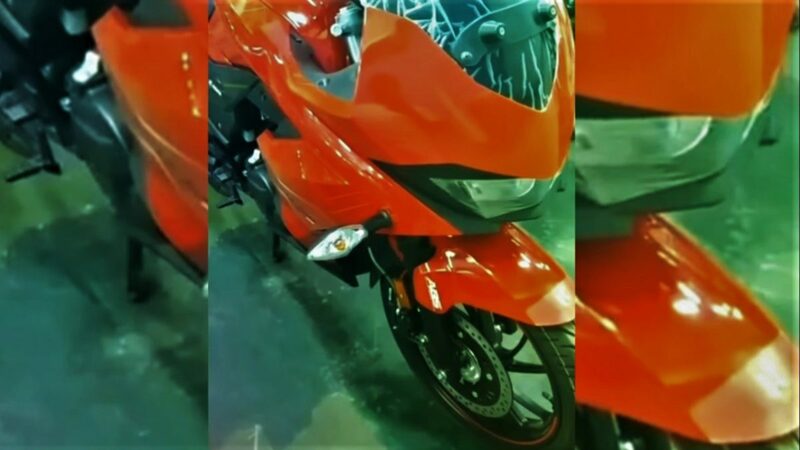 Is this the 2019 Hero Karizma or if it’s a faired version of the Xtreme 200R? We can’t confirm, but the motorcycle has an arguably sharp front end, serving the purpose of aerodynamics and visual approach as well. The front fairing surrounds a seemingly sharp twin headlight setup, an adequately-sized tall windscreen and the front suspension appears to have traditional telescopic forks. The tyre thread hints at a hard component rubber from MRF mounted on black alloys with orange accents. The eye-catching body paint in the video appears to be a shade of volcano orange with some dark highlights for contrast. The 2019 Hero Karizma / Xtreme 200R comes standard with the Anti-Lock Braking System as shown in the video footage, and why not? ABS has become a mandatory part of every 150cc+ motorcycle now. The fairing further continues from the front to the fuel tank, covering most of the parts except the engine crank case, that’s left exposed. The single piece handlebar is again similar to the roadster model, thereby offering an upright, comfortable riding position. The instrument cluster includes standard switches with a fully digital screen which appears to be similar to the unit on the upcoming Xpulse 200. In terms of power, we expect this new Hero motorcycle to be propelled by the same motor which powers the Xtreme 200. It is a 199.6cc single cylinder motor which cranks out 18.4 bhp, 17.1 Nm and is paired with a 5-speed gearbox. We expect the motor to be tuned differently for this motorcycle and perhaps it could be fueled by an injection system too. The Hero Xpulse range has been due for launch for a long time now. The Xpulse 200 and 200T are said to go on sale in a few weeks’ time and this new motorcycle could follow that launch. Expect this example to be priced at a smidgen above the INR 1 lakh mark.